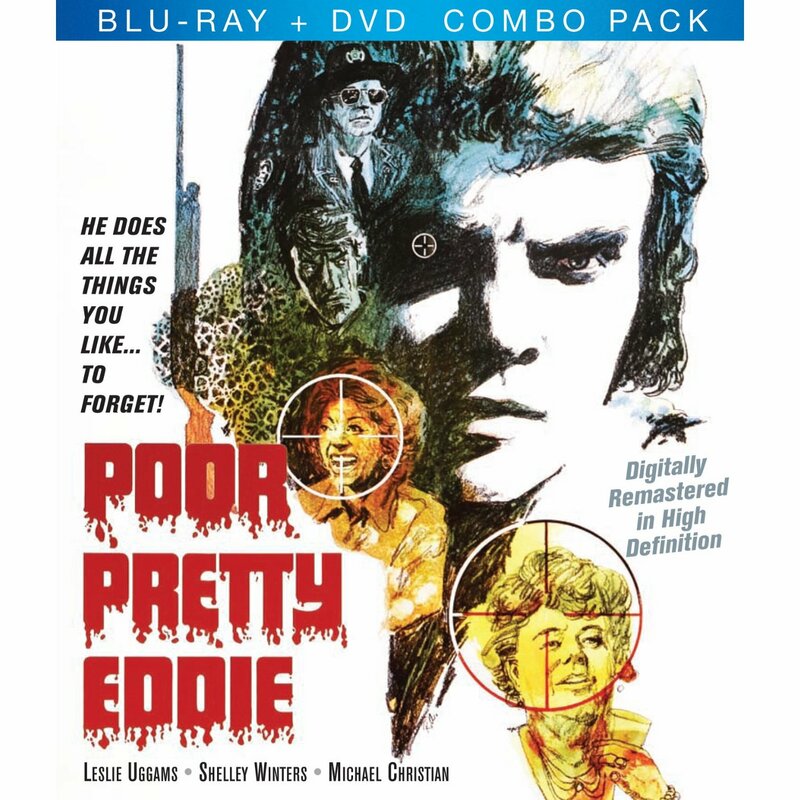 Digi-Schlock: POOR PRETTY EDDIE (HD Cinema Classics Blu-Ray/DVD Combo Pack) – Schlockmania! 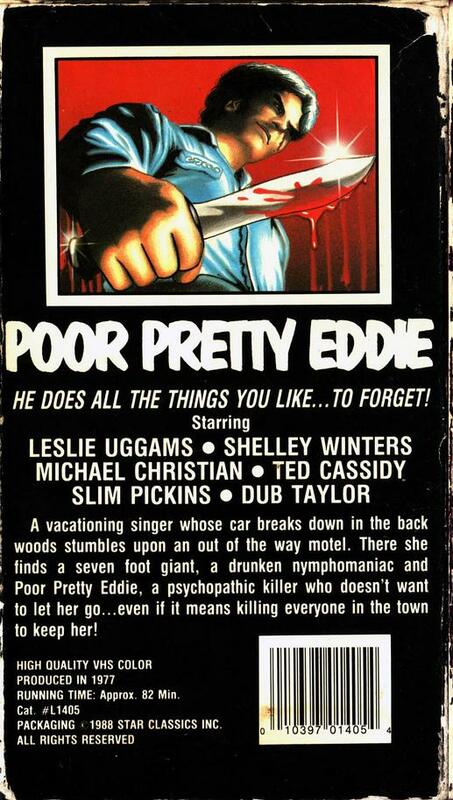 For several years, Poor Pretty Eddie has been a film you had to hunt for. It had many a cheap VHS release but never got issued during the gold-rush years of DVD, making it something that either had to be searched for Internet auction sites or tracked down through grey-market means as a DVD-R. As a result, most of its fans got used to watching in less-than-ideal quality, with the usual color-drained, smeary look one associates with cheap videotapes. Thankfully, Poor Pretty Eddie was rescued from home video oblivion by HD Cinema Classics, a label devoted to producing high definition transfers of public domain fare. It has gotten the full blu-ray/DVD combo pack treatment here. The anamorphic image has been cleaned up substantially, with very little debris or print damage to be seen. Unfortunately, it has also had a lot of digital noise reduction applied to it so film grain is basically invisible, as is a lot of fine detail. As a result, the image can be rather soft in long shots. Colors aren’t eye-popping but are mostly okay. The end result is a big step up from the old VHS copies but not what it could have been with more careful, film-like remastering. The package mentions a 5.1 soundtrack but that is not to be found here. What is presented is 2.0 and sounds fine. As you might expect from a vintage sound mix, the dynamic range is limited but dialogue comes through fine and there’s a minimum of age-related crackles or pops on the soundtrack. There are also a few extras in this set. Things start simply with a trailer and a restoration demo. The trailer is not an original spot but seems to be modeled on the Redneck County reissue spot that popped up on the 42nd Street Forever Vol. 5 trailer compilation. The restoration demo will make you appreciate the amount of clean-up done on the rough-looking source materials for this transfer. The remaining two extras are a pair of real treats for all the fans who have ever wondered about how this bizarre cult item came to be. The first is an in-depth historical text essay on the film by Chris Poggiali. It reveals how the story behind the film is as curious as its onscreen events and incorporates new interviews with stars Leslie Uggams and Michael Christian, who are both likeably candid regarding on-the-set stories and their thoughts on the film. It’s a nice work of schlock scholarship and if this film intrigues you, you’ll be glued to every word. The other big extra is a commentary track featuring cinematographer/co-director David Worth and moderator Joe Rubin. It’s an energetic and densely-packed track, as Worth has plenty of memories of the shoot and is a colorful storyteller. He offers the expected production and cast/crew stories but also gets into a lot of other fascinating material like how editor Frank Mazzola created new sequences that defined the film’s feel and also the differences between Poor Pretty Eddie and the PG-rated re-edit Heartbreak Motel. Rubin offers a lot of strong questions from the fan perspective to keep Worth primed and the two work well together, resulting in a fun track without any lulls. Like the historical essay, this a must for fans of the film to check out. 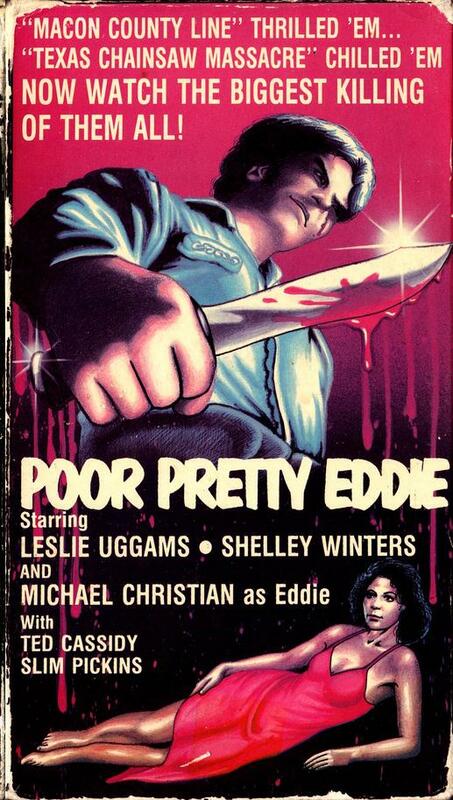 To read Schlockmania’s film review of Poor Pretty Eddie, click here.